Multivitamin use is common in the United States. It is not known whether multivitamins with minerals supplements (MVM) used by women already diagnosed with invasive breast cancer would affect their breast cancer mortality risk. To determine prospectively the effects of MVM use on breast cancer mortality in postmenopausal women diagnosed with invasive breast cancer, a prospective cohort study was conducted of 7,728 women aged 50–79 at enrollment in the women’s health initiative (WHI) in 40 clinical sites across the United States diagnosed with incident invasive breast cancer during WHI and followed for a mean of 7.1 years after breast cancer diagnosis. Use of MVM supplements was assessed at WHI baseline visit and at visit closest to breast cancer diagnosis, obtained from vitamin pill bottles brought to clinic visit. 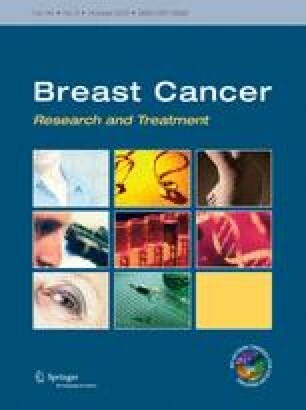 Outcome was breast cancer mortality. Hazard ratios and 95 % confidence intervals (CIs) for breast cancer mortality comparing MVM users to non-users were estimated using Cox proportional hazard regression models. Analyses using propensity to take MVM were done to adjust for potential differences in characteristics of MVM users versus non-users. At baseline, 37.8 % of women reported MVM use. After mean post-diagnosis follow-up of 7.1 ± 4.1 (SD) years, there were 518 (6.7 %) deaths from breast cancer. In adjusted analyses, breast cancer mortality was 30 % lower in MVM users as compared to non-users (HR = 0.70; 95 % CI 0.55, 0.91). This association was highly robust and persisted after multiple adjustments for potential confounding variables and in propensity score matched analysis (HR = 0.76; 95 % CI 0.60–0.96). Postmenopausal women with invasive breast cancer using MVM had lower breast cancer mortality than non-users. The results suggest a possible role for daily MVM use in attenuating breast cancer mortality in women with invasive breast cancer but the findings require confirmation. The authors thank the WHI participants, Investigators and staff for their important contributions. The Women’s Health Initiative (WHI) program is funded by the National Heart, Lung, and Blood Institute, National Institutes of Health, U.S. Department of Health and Human Services through contracts N01WH22110, 24152, 32100-2, 32105-6, 32108-9, 32111-13, 32115, 32118-32119, 32122, 42107-26, 42129-32, and 44221. The funding organization (NIH) had no role in the design and conduct of the study; analysis or interpretation of the data or preparation, review, or approval of the manuscript or the decision to submit the manuscript for publication. The funding organization was involved in designing the WHI protocol and in management of WHI. All authors state they have no conflicts of interest.